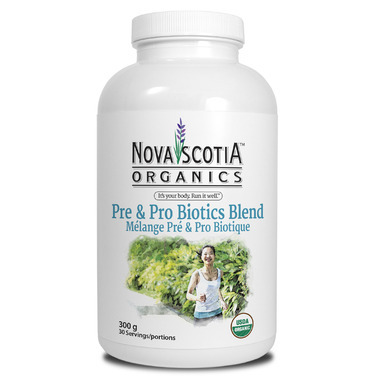 Nova Scotia Organics Pre & Pro Biotics Powder is a terrific mix of both Pre & Pro-Biotics to help support a healthy digestion and immune system. The naturally fruit flavored ready-to-mix powder will help keep you regular, and maintain a healthy balance of "good" microorganisms, fed by a full menu of Pre-Biotics in the form of organic fruits, vegetables and grains. 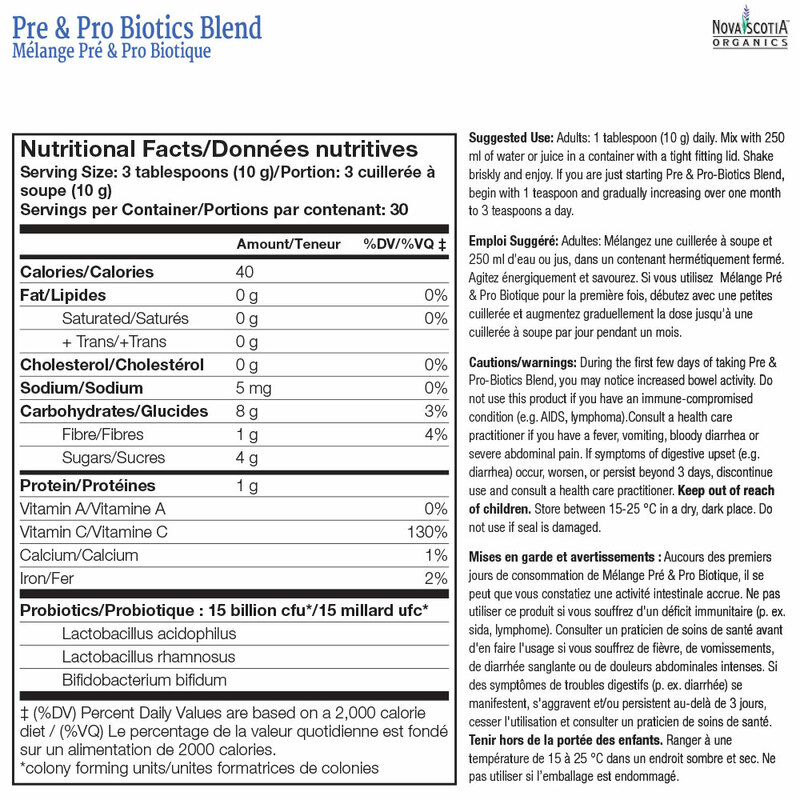 Best way ever to get pre and probiotics. Even my kids are adding this to your diet. Has helped with digestion and has cleared up my skin. Great product a little pricy but worth the money!